Chinese universities are rapidly adopting eLearning solutions such as those from WebCT (www.webct.com), the eLearning solutions provider. The company has signed up more than 25 universities in greater China, including The Hong Kong Polytechnic University, The University of Hong Kong, and the National Taiwan Normal University. Also, to help continue and support the expansion, WebCT has announced that it will establish a corporate office in Shanghai. Datatel (www.datatel.com) announced that its executive team, backed by Thoma Cressey Equity Partners and Trident Capital, has signed and completed a definitive agreement to acquire the company from its founders, Ken Kendrick and Tom Davidson. Concurrent with the signing of this transaction, President and CEO Russ Griffith will also assume the role of chairman of the board. 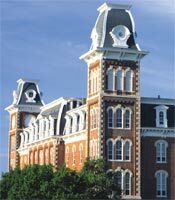 SBC Communications Inc. (www.sbc.com), the Internet and communications provider, announced a deal with the University of Arkansas to provide a Wireless Mesh Network from Nortel (www.nortel.com), the global communications provider, for an on-campus private wireless network. Nortel’s Wireless Mesh Network allows the U of A a minimal amount of Ethernet cabling, giving students and faculty a secure, wireless broadband network.
. The Center for Technology and Innovation Management GmbH (www.cetim.org), an independent, non-profit research institute at the University of Bundeswehr-Munich (Germany), will deploy Arel Spotlight from Arel Communications and Software (www.arelcom.com), a voice, video, and data Web communication provider of interactive conferencing, collaboration, and training applications. The deployment will promote the integration of rich media conferencing, communication, and collaboration in the enterprise environment at CeTIM’s Virtual Enterprise Lab, a state-of-the-art facility for testing and leveraging multimedia technologies for real-time communications. With headquarters in Oslo, Norway, and New York, Tandberg (www.tandberg.com), the visual communications provider, appointed three new members to its leadership team. Those appointed: Fredrik Halvorsen, who has been a key member of McKinsey & Company, with solid international financial and management experience, to the post of CFO; Rick Snyder, with over 20 years in management, to president of the Americas theater; Steven Peri, the company’s former outside counsel, to senior VP and general counsel; and Brad Johnston, the company’s former president of the Americas theatre, to a new leadership position as senior VP, Global Sales Operations. The new execs will join Tandberg during Q2 2005, and will be based in Reston, VA.
Symphoniq Corporation (www.symphoniq.com), a new firm created by the founders of NetIQ to manage the Web application infrastructure, has announced the appointment of Richard Rudolph to the position of VP of Worldwide Sales. Rudolph brings to the table almost 20 years of market development for Web application management tools. Before joining Symphoniq, Rudolph was VP of Worldwide Sales for Keynote Systems. Prior to that post, he led sales operations at webHancer and at WebTrends, a division of NetIQ.